Scanning electron microscopes (SEMs) create stunning images of even the tiniest objects. 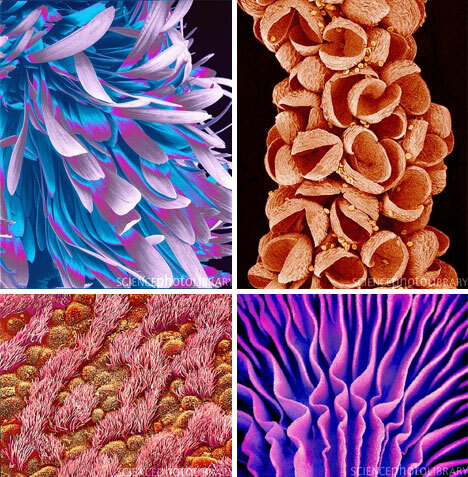 With their distinctive depth of field and incredible amount of detail, SEM images bridge the gap between science and art in a wonderfully fluid way. 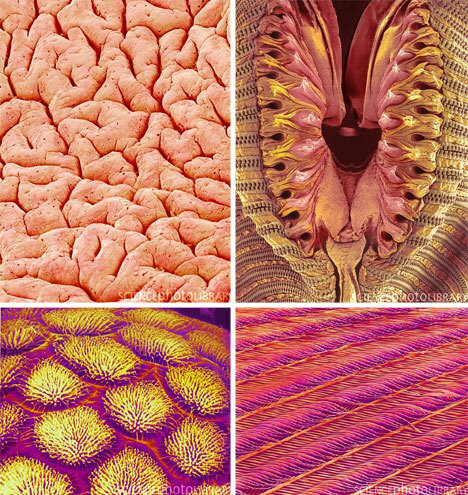 Japanese artist and microscopist Susumu Nishinaga has a unique talent with SEM images. 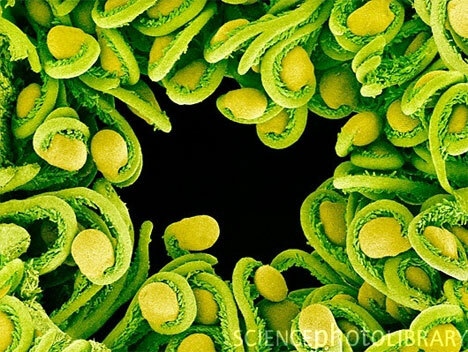 His mastery of the scanning electron microscope has produced some of the most compelling science images ever seen. But rather than being dry nature photographs, these images are otherworldly pictures of parts of our world that we rarely – if ever – get to see. 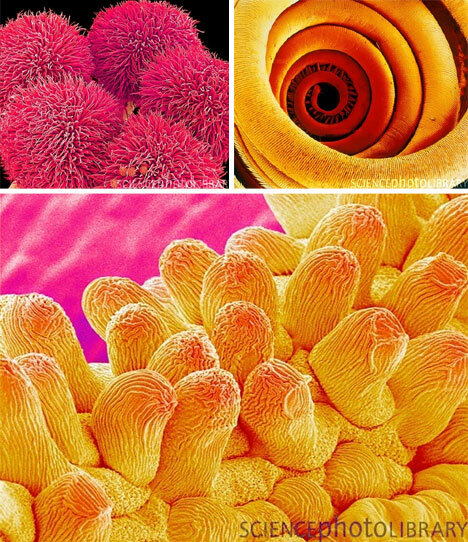 Under the powerful eye of the SEM, ordinary (but usually-overlooked) objects like flower petals, mushroom gills and even housefly noses become ethereal works of art. Beetle exoskeletons, mosquito bodies and bird feathers are suddenly transformed into fascinating landscapes of alien worlds. Nishinaga’s unique talent is in producing images of blood vessels. 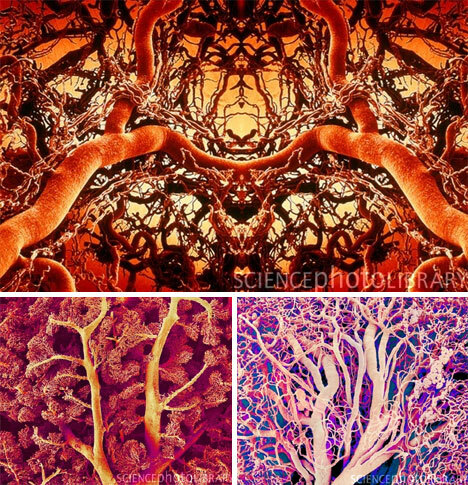 In his talented hands, the SEM turns out extreme close-ups of veins, capillaries and arteries that look less like the inside of a human body and more like exotic plants and trees painted in vivid colors. Scanning electron microscopes are much more powerful than regular microscopes, which are able to magnify only up to 1000 times. An SEM, on the other hand, can magnify up to a million times. The images are often colored to help laypeople differentiate between parts of the subject and to add interest to the pictures. See more in Art of Tech or under Technology. January, 2011.